Secondary Plans form part of the Official Plan and provide more specific policies than the policies of the existing Official Plan for a particular area. Secondary Plans allow for a comprehensive study of the secondary plan area, considering the other policies in the Official Plan. They allow for a coordinated planning approach for the secondary plan area and the opportunity to provide more detailed policy guidance for the area that goes beyond the general policies of the Official Plan. 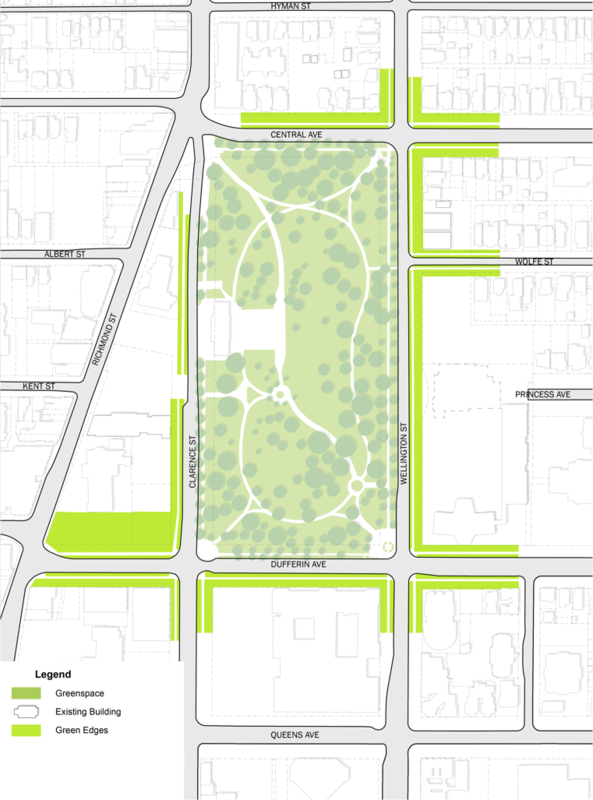 Why are we doing a Secondary Plan for the lands around Victoria Park? 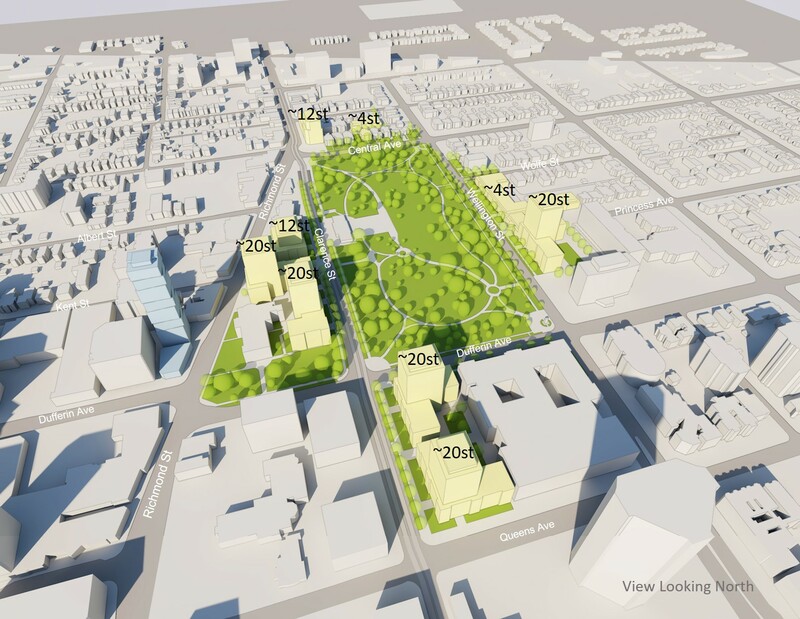 The Victoria Park Secondary Plan is a City-initiated planning study to develop a secondary plan for the properties surrounding Victoria Park. 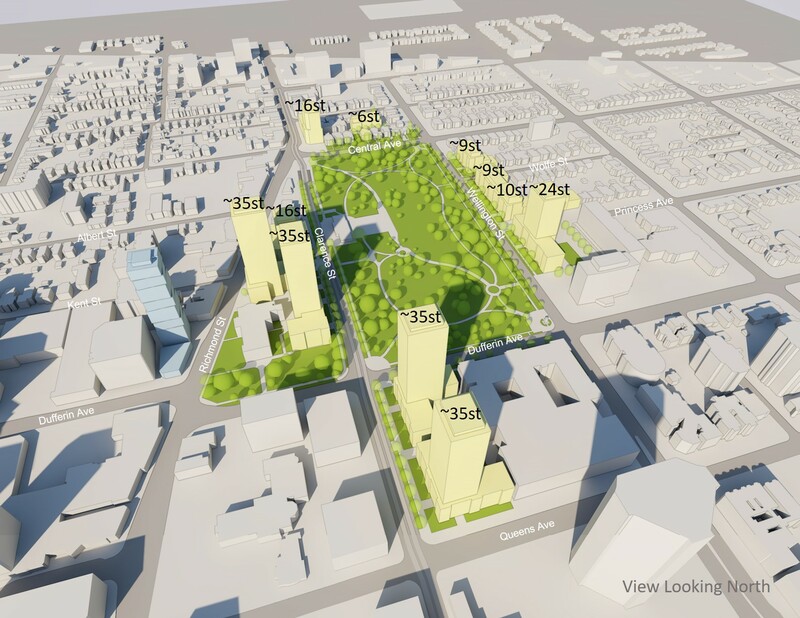 The existing vision for the lands surrounding Victoria Park is varied, with potential future development of properties surrounding the park being directed by different policy and guideline documents. The lands surrounding the park have not been considered comprehensively based on their shared relationship with the Park, despite the role of Victoria Park as a prominent City-wide park for the City of London. At its meeting of May 8, 2018, City Council directed Staff to undertake a review of the existing policies, plans and guidelines applying to properties surrounding Victoria Park and to consider a comprehensive plan for their development. Staff have hired a planning consulting firm, Urban Strategies, to assist with undertaking this study. The intention of the Victoria Park Secondary Plan is to provide a comprehensive plan for the properties surrounding the park, to allow for a proactive and coordinated approach for the review of any future development applications. 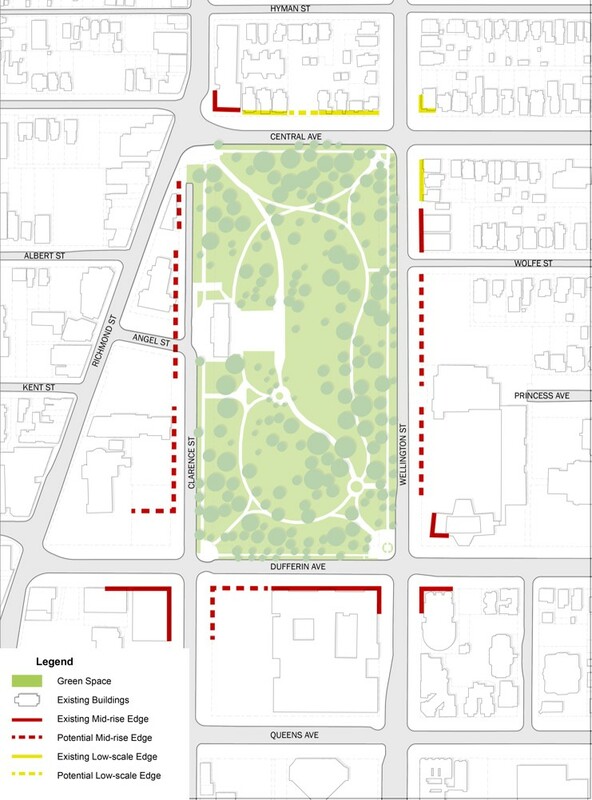 The Secondary Plan is for the lands around Victoria Park. 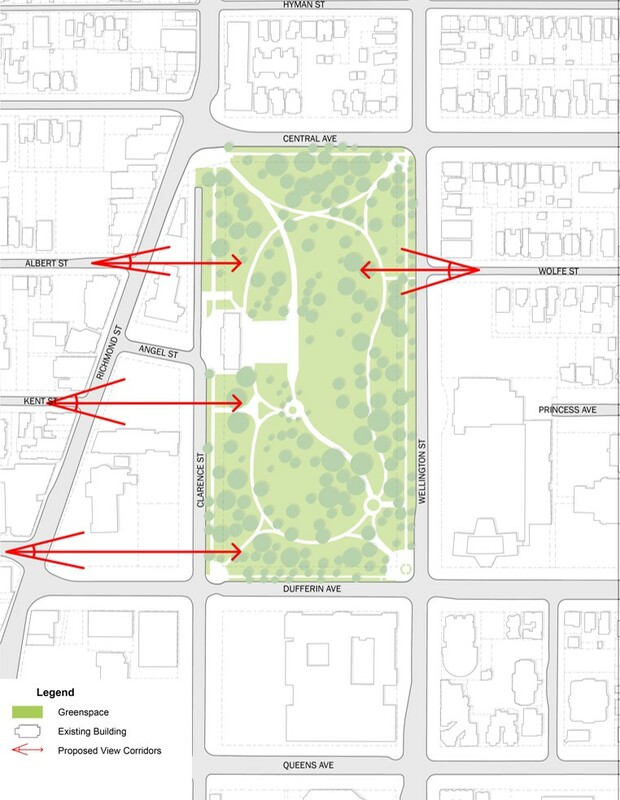 It will not consider programming within Victoria Park or the design of the park itself. This meeting was attended by approximately 120 people. Individuals provided input on the Draft Principles for the Secondary Plan. Three built form scenarios were provided for discussion purposes only. Please see the Feedback tab to continue to provide input on these Draft Principles and the built form scenarios. This meeting was attended by approximately 40 people. Individuals provided input on Key Opportunities and Considerations that helped inform the Draft Principles for the Secondary Plan presented at Community Information Meeting #2. At the January 24, 2019 Community Information Meeting, six Draft Principles to form the foundation of the policies in the Secondary Plan were presented. Please provide your feedback on the six Draft Principles outlined below. This principle looks to create and enhance visual connections to the Park. Are there any missing? If yes, what view corridors are missing? This principle looks at opportunities for potentially improving and creating new connections to the Park in the future. These connections could be in a variety of forms, such as roads, walkways or through a building. Are there any missing? No buildings are proposed to be demolished at this time. If yes, what connections are missing? 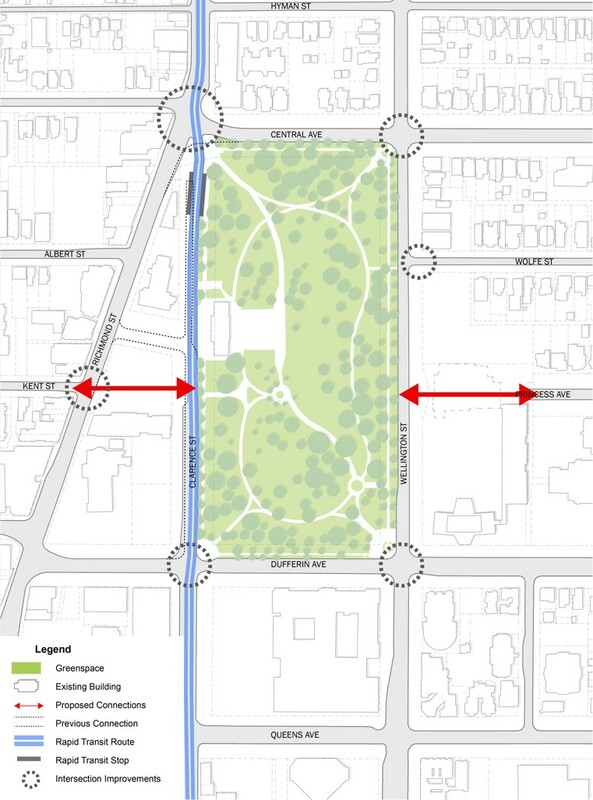 This principle looks at preserving and supporting the green edge around the Park and the streets leading to the park with consistent setbacks and landscape zones. Is there anything missing? If yes, what is missing? This principle looks to ensure that any new buildings will be compatible with the existing heritage buildings and heritage districts. Please share your comments. This principle looks to ensure that new development aligns with existing built form edges and have appropriately scaled podiums. Please share your comments. The below scenarios were presented at the meeting to demonstrate what different heights could look like around Victoria Park. These are presented for discussion purposes only. In reality, it is expected there would be a greater variability in building design including such matters as heights within a block and floorplate sizes. What do you like about this scenario? What are your concerns about this scenario? Is there anything missing? Please provide any additional comments you may have. Join our email list to stay connected to the project. We'll send you updates and information on upcoming events and further engagement opportunities.